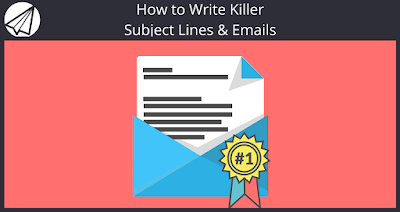 So you want to know how to write killer emails and subject lines. Getting your email marketing established is only the first step. You want it to be part of a larger process that makes this facet of your overall strategy highly successful. You want your audience to both open the emails you send and then to click through on the content within. Whether it’s to your website, a landing page, etc. But how do you go about doing that? 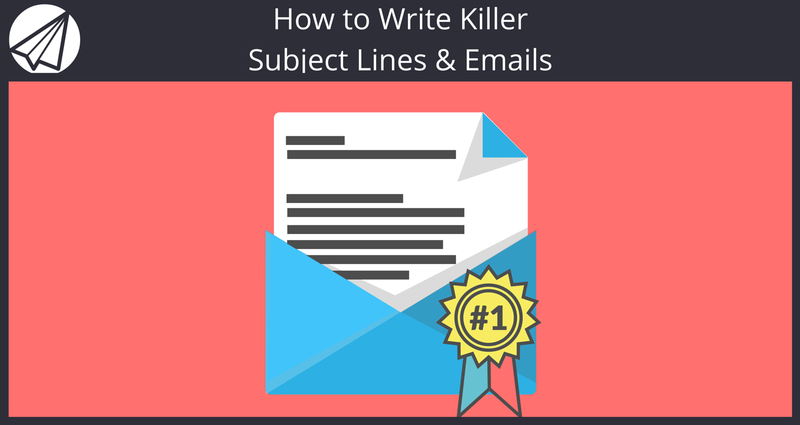 In this post, we’ll look at how to write both an amazing subject lines that get your messages opened. Also, how to construct a conversion-oriented email message body. The first thing your email subscribers encounter is the subject line. This is a key element. It helps the reader decide if he/she wants to open the message and read more. Therefore, if you want to increase your email open rates, you need to follow some of the best practices for writing amazing subject lines. Most email platforms allow you to insert a subscriber’s first name into a subject line. This makes the message appear highly customized. Plus, research from Aberdeen shows that personalized email messages improve click-through rates by an average of 14% and conversions by 10%. Adding a subscriber’s first name to the subject line of an email is an extremely easy way to catch a reader’s eye and foster a sense of relationship with subscribers. For example: Kaleigh, we’ve got a 20% discount just for you. Most email experts say that a subject line should be less than 50 characters. As well it should be succinct, clear indicators of what’s inside the message. It’s a good idea to write 5-10 versions of your subject line to find one that’s clear, to the point, and highly descriptive for a reader. For example: Get a sneak peek at Spring 2016. The human brain is drawn to numbers, as it helps organize data into a logical, easy to understand format. Using numbers in your email subject line not only helps quantify what’s inside your message, but simplifies information into a state that otherwise my be thought of complex. Create a curiosity gap. Ever been lured into reading a Buzzfeed post because of a title like “You’ll never guess her reaction to this” before? Information gaps stir up a reader’s sense of curiosity and encourage them to find the missing piece of information on the other side. Use this to lure readers in to what’s on the inside of your email. Using these four tactics, you’ll be on the path to writing email subject lines that get opened by readers more and more with each and every send. Once you’ve constructed a fantastic subject line, you’ll want to think about your email message body, too. There are many, many tips we could share on this subject, but we’ll stick with the most essential advice you need to make emails effective. Choose a single call to action. We know that online readers are scanning rather than reading word for word, so it’s wise to give them a single objective rather than many. Limit each email to a single goal so that distractions are minimized. Personalize within the message body. Just like in the subject line, most email platforms allow you to include the recipient’s first name within the email message, too. Incorporate personalization to make your email feel more tailor-made for each individual. Use buttons, not text links. When you present the call to action, make sure you’re using a button rather than a link. Research shows that buttons can increase click-through rate by as much as 127%. They stand out from the message and are easier to find than text links. Ready to start sending killer email campaigns? Check out Sendlane’s features that make email marketing simple, effective, and highly profitable.